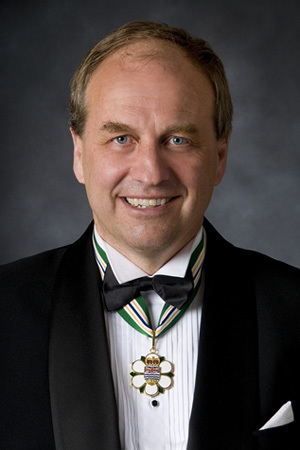 One of the world’s leading authorities on global warming and climate change, Andrew Weaver is the author of numerous articles on climate change and has served as a lead author on the United Nations’ Intergovernmental Panel on Climate Change. Born and raised in British Columbia, Dr. Weaver is a professor in the School of Earth and Ocean Sciences at the University of Victoria and holds the Canada Research Chair in Climate Modelling and Analysis. He serves as editor in chief of the Journal of Climate, the world’s leading journal in the field. He tirelessly shares his knowledge in an effort to educate people about the science behind climate change. A member of British Columbia’s Climate Action Team, Dr. Weaver has played an important part in developing our province’s leadership position in addressing climate change. He has played an active role in the creation and establishment of the Pacific Institute for Climate Solutions, and the School Based Weather Station Network, which helps children at 100 BC schools learn about climate and weather. Dr. Weaver’s exceptional research achievements, scholarly writing, and efforts to share his knowledge are truly remarkable and have been critically influential world-wide and at home.